People who live in cities, exurbs or suburbs may not come across farms very frequently. But millions of people, including children, still live on farms. In fact, in 2009 the Centers for Disease Control and Prevention noted that more than one million children under the age of 20 lived, worked or had a regular presence on farms in the United States. Protecting children from injury on farms, especially those who perform work on farms, is of paramount importance. The American Society of Safety Engineers offers the following safety tips to parents of children who will be spending time on farms. • Know and obey the laws. Various state and federal laws are in place to protect young children from farm-related accidents and injuries. Age requirements dictate which jobs children can perform on a farm, and parents should adhere to those requirements. Asking children to do more than they’re physically capable of can lead to accident, injury or even death. • Review equipment operation instructions. Before assigning children a task on the farm, parents should review the equipment operation instructions. Doing so can help parents reacquaint themselves with tools and equipment they may not have used in awhile, and that can make it easier for them to teach kids how to use such equipment. In addition, reviewing equipment instructions may provide insight to parents unsure if their children are old enough to use certain tools. • Inspect equipment. Before children perform any tasks on the farm, parents should inspect the equipment their children are likely to use to make sure each tool is safe. Make sure tools are in proper working order, as broken or poorly working equipment increases the risk of accident or injury. • Enroll children in farm safety camps. The ASSE recommends that parents contact their local Cooperative Extension and Farm Bureau offices to enroll children in farm safety camps. Such camps can teach kids safe farming techniques and the proper ways to use age-appropriate tools. • Set a positive example. 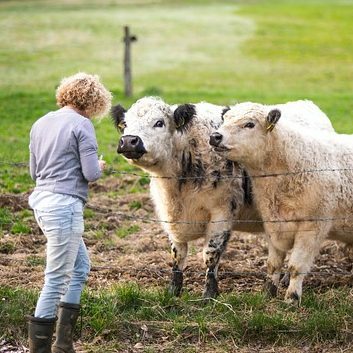 Another way for parents to protect their children on the farm is to set a positive example. Parents can do so in various ways. Using equipment properly, removing tractor keys from ignitions when tractors are not in use and exercising caution when using hazardous materials shows kids the importance of caution when working on farms. Hundreds of thousands of children perform jobs on farms across the country. Parents who want to teach their kids to farm should always do so with safety in mind. Nutritious diets are essential to long-term pet health. Many well-intentioned pet owners feed their pets foods they believe are nutritious, only to learn that certain foods, even those deemed healthy for humans, can be quite dangerous to dogs and cats. Cats and dogs metabolize foods and other substances differently from humans. WebMD reports that each year, there are more than 100,000 cases of pet poisoning in the United States. Many of these instances were caused by household substances that may seem perfectly harmless. 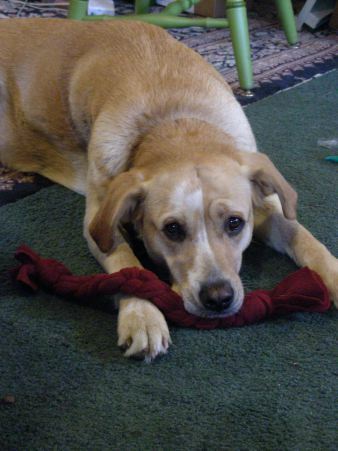 Medications, cleaning products and certain foods can poison pets. Dogs tend to be at higher risk for food poisoning, particularly because they are less discriminatory with regard to food. Before caving into the temptation to share snacks with their pets, pet owners should recognize the common foods the ASPCA and other pet welfare organizations list as the most likely to contribute to pet poisonings worldwide. · Chocolate: Chocolate is accountable for roughly one-quarter of all toxic exposures. Chocolate contains methylxanthines, which are found in cacao seeds. When ingested by pets, methylxanthines can cause excessive thirst and urination, panting, vomiting, diarrhea, abnormal heart rhythm, and seizures. Serious cases can be fatal. Dark chocolate and baking chocolate are especially dangerous for pets. · Grapes/raisins: Grapes, raisins, sultanas, and currants, whether raw or cooked, can cause kidney failure in dogs. Not all dogs are affected. However, these fruits should be avoided. Symptoms include lethargy, diarrhea and vomiting within 24 hours of consumption. · Hops: Commonly used for brewing beer, hops have become a greater risk for pets now that home brewing as a hobby or side business has become popular. When ingested, hops can cause a rapid heart rate, anxiety, vomiting, and other abdominal symptoms. Essential oils and tannins in hops also can cause high fever when pets ingest them. · Macadamia nuts: These nuts can cause depression, vomiting, tremors, and hyperthermia in dogs. · Milk and dairy: Do not give dogs and cats milk to lap up, and avoid giving them high amounts of cheese and other dairy foods. Pets do not possess significant amounts of lactase, the enzyme that breaks down lactose in milk. Therefore, diarrhea and digestive upset is likely to occur when pets consume dairy. · Onions/garlic: These aromatic ingredients are not a good idea for pets, particularly cats. Onions contain an ingredient called thiosulphate, which is toxic to cats and dogs. The ingestion of onions and onion-related foods can cause a condition called hemolytic anemia. This is damage to red blood cells that causes the cells circulating throughout the pet’s body to burst. · Xylitol: Keep pets away from sugarless gums and candies that contain Xylitol, which also may be used in toothpaste. The substance causes insulin to release in most species, which can lead to liver failure. Pet owners should be aware that the foods they eat regularly may not be safe for their pets. Always consult with a veterinarian before giving pets foods commonly eaten by humans. Bird watching is a pastime enjoyed by people of all ages. 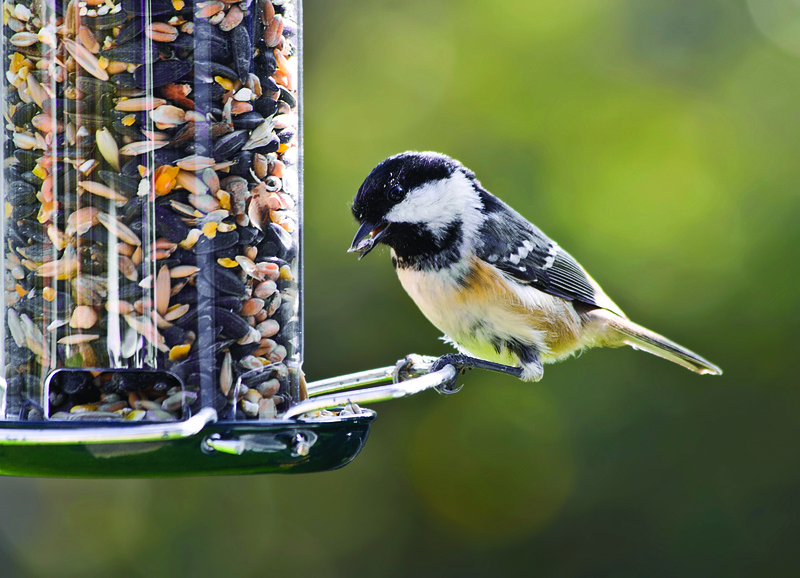 While many people trek into the woods to see their favorite birds, homeowners can take steps to entice these fascinating and feathered friends right to their backyards. Homeowners who want to attract birds to their properties can do so by providing the birds food, shelter and places to wash up or cool off. 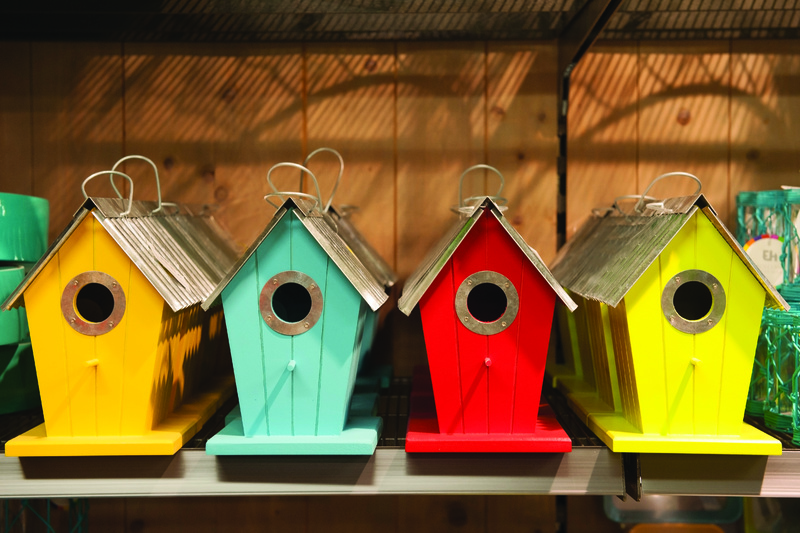 Installing a bird feeder and a bird bath in your yard is one way to attract a bevy of winged creatures that can provide hours of enjoyment. Establishing a bird-friendly environment may seem as simple as hanging a feeder on a pole or tree and erecting a bird bath nearby. But a certain level of maintenance is needed to keep birds healthy and happy. According to the experts at the Bird Watcher’s Digest, recent research indicates feeders can sometimes be a source of disease for the birds visiting them. 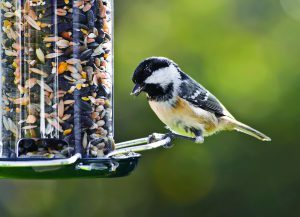 The Audubon Society echoes that warning, saying that bird feeders and baths can serve as transmission stations for diseases such as aspergillosis, avian pox and salmonellosis. Recently, scientists noted that the spread of trichomonad protozoan parasites is on the rise, especially among mourning dove and band-tailed pigeon populations. Such warnings are not meant to deter budding birding hobbyists. Organizations like the Audobon Society hope that such warnings send the message that disinfection and maintenance is necessary to maintain sanitary environments for birds. Doing so is relatively easy and well worth the time for birding enthusiasts. • The Humane Society of the United States advises cleaning hanging feeders once every two weeks or more often if they’re heavily used. Ground-feeding designs should be cleaned every two days. Feeders can be immersed in a very-diluted solution of bleach to water (nine parts water to one part bleach). Let soak for a few minutes, and then scrub the feeder with a stiff brush or scouring pad before rinsing. Allow the feeder to dry completely before refilling it with seed. • Bird baths should be emptied of water each day. Brush or wipe the bath clean, then rinse and refill with fresh water. Do not leave standing water overnight; otherwise bird baths can easily become a breeding ground for mosquitoes and other parasites. • Frequently collect discarded seed hulls and clean bird droppings from beneath feeders. If the area around the feeder has become especially soiled, relocate the feeder elsewhere and clean its initial location. • Follow proper instructions with regard to seed and other bird food. For example, reduce the amount of suet offered in hot weather. Heat can cause suet to spoil, and sticky suet can become stuck in birds’ feathers and make it hard for them to keep clean. • Try to provide more than one feeder and bird bath to prevent overcrowding. Crowding can contribute to the spread of disease. • Do not situate feeders and bird baths under perches where they can be soiled by droppings. • If you notice birds look sick or are not acting strangely, halt feeding and bathing to prevent healthy birds from becoming ill. Wait a week before resuming feeding and notify wildlife officials if you find dead or sick birds around your property. • Locate feeders and baths at least 30 feet away from windows so birds do not get confused by reflections and collide with the glass. • Store seed in a dry container with a tight-fitting lid to prevent mold from forming and moisture from getting in. Creating a thriving habitat for bird watching is easier than one might think. But once birds begin visiting a yard, homeowners must diligently maintain clean feeders and bird baths to ensure the birds stay as healthy as possible. Any questions about wild-bird care can be directed to a local Audubon Society chapter or by visiting a pet store or bird hobby center. Many dog owners never give a second thought to the health of their dogs’ ears. Unless Fido isn’t answering the dinner bell, pet owners may fail to recognize signs that man’s best friend is dealing with ear trouble. Though it’s easily overlooked, maintaining a dog’s ears is something owners must do throughout their four-legged friend’s life. Such maintenance is simple, and owners who remember to make it a part of their dog’s grooming routine can help ensure their dog stays clean and healthy for years to come. Why must I prioritize ear maintenance for my dog? The anatomy of dogs’ ears is reason enough for dog owners to make ear maintenance part of the grooming routine they have for their pets. The inner ears of dogs are curvy and provide many spots for bacteria, parasites and yeast to hide and grow. The winding nature of dogs’ inner ears also can make it difficult to expel any debris that enters the ear canal, and trapped debris can cause infection. What are some signs that suggest my dog’s ears aren’t up to snuff? Much like their owners, dogs may suffer from wax buildup in their ears. But unlike humans, dogs who have wax buildup in their ears may be coping with microscopic ear mites, which can infect dogs’ inner and external ear canals and lead to infection if left untreated. Ear mites can be difficult to see, but the presence of a black or brown waxy secretion may be indicative of ear mites. Dogs with ear mites may also rub or scratch their ears excessively, and that behavior can lead to ruptured blood vessels within the dog’s ear flap, which will look swollen and cause the dog considerable pain. Other signs that dogs may be having problems with their ears include redness in and around the ear, swelling, crusty skin, and hair loss. Any of the aforementioned symptoms should be brought to the attention of a veterinarian immediately. How can I protect my dog from ear troubles? Simple and routine maintenance is often enough to safeguard dogs from ear troubles. Apply a cotton ball dampened with hydrogen peroxide or mineral oil to dirty areas of dogs’ inner ears. The skin inside dogs’ inner ears is delicate, so be gentle when cleaning such areas, even asking your veterinarian to show you the proper technique if you are concerned you might hurt the animal. Some dogs, not unlike some dog owners, may grow hair in their ears. While the hair is relatively harmless, it’s still a good idea to discuss its growth with your veterinarian, who can teach you how to remove the hair or even let you know if the hair needs to be removed at all. It’s important that dog owners do not clean their dog’s ears too often. The skin inside dogs’ ears is very sensitive, so overcleaning the ears can cause irritation. When cleaning dogs’ ears, dog owners should never insert anything inside their dogs’ ear canals. Dog owners who let their dogs go swimming from time to time should dry the dogs’ ears immediately after they get out of the water. 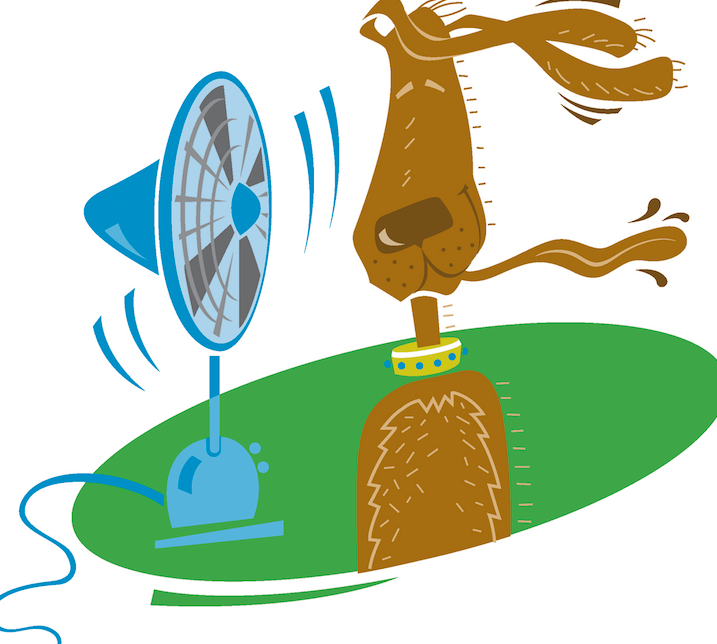 Make sure ears are as dry as possible before letting Fido run off, as wet ears can cause infection and irritation. Ears may not be the first thing dog owners think of when trying to protect their pets from potentially painful health problems. But ear maintenance should be a part of every dog owner’s dog-grooming routine. Much like their owners, dogs benefit from healthy diets in a variety of ways. A healthy diet provides the energy dogs need to be active, and that activity allows them to maintain healthy weights. Dogs that eat healthy diets also are less susceptible to illness. The American Society for the Prevention of Cruelty to Animals notes that many high-end commercial dog foods already boast the nutrients dogs need to live long and healthy lives, but dog owners may not know which ingredients to look for when reading pet food labels. According to the ASPCA, the following are a handful of essential nutrients that should be included in dogs’ diets. · Carbohydrates: Carbohydrates are a valuable source of energy for dogs’ body tissues and play a role in intestinal health. Fiber is a good source of carbohydrates for dogs, but the fiber must be a moderately fermentable fiber, such as beet pulp, for dogs to get the most benefit. Highly fermentable fiber can lead to flatulence and excess mucus, while low fermentability can lead to poor development. The ASPCA recommends that dog owners avoid feeding high-fiber foods to dogs with high-energy requirements, which include young and growing dogs. · Fats: Fats are a great energy source for dogs, providing more than twice the energy of proteins and carbohydrates. Fats also play an essential role in the production of hormones, and they are necessary to absorb and utilize fat-soluble vitamins. A dog’s diet must include essential fatty acids, such as linoleic acid, as dogs cannot synthesize them in sufficient amounts on their own. Replacing some omega-6 fatty acids with omega-3 fatty acids can reduce inflammation resulting from allergies, arthritis, intestinal issues, and kidney problems. The ASPCA notes that the optimal ratio of omega-6 to omega-3 fatty acids is between 5 and 10 to 1 and that it is impossible to determine this ratio when feeding dogs homecooked foods, as only fixed-formula foods can guarantee an appropriate ratio. · Minerals: Minerals help dogs develop strong bones and teeth and maintain fluid balance. 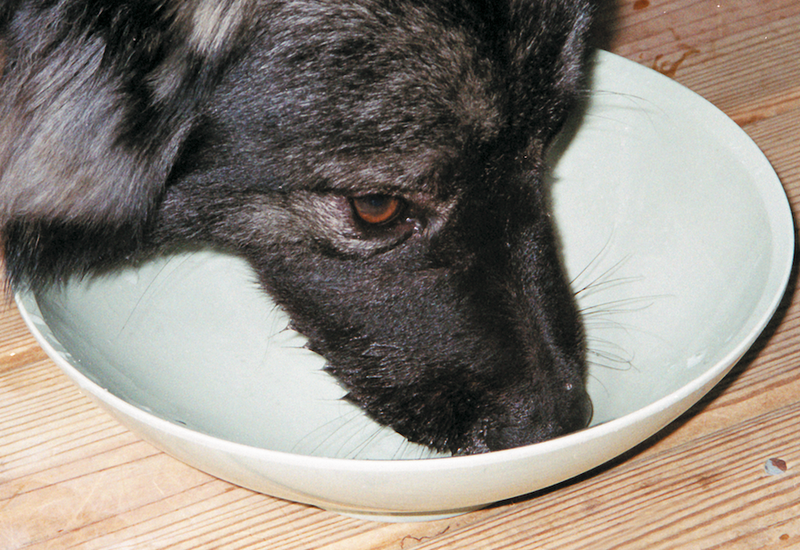 Dogs cannot naturally synthesize minerals, so minerals must be provided in dogs’ diets. · Protein: The ASPCA notes that proteins are essential to dog health, playing a vital role in their growth, ability to reproduce and ability to repair and maintain their bodies. Numerous food sources can provide dogs with adequate protein, but the ASPCA warns against giving dogs raw eggs, which contain a potentially harmful anti-vitamin known as avidin, which can interfere with a dog’s ability to properly metabolize fats, glucose, amino acids, and energy. Amino acids are the building blocks of proteins, and those known as essential amino acids cannot be synthesized by dogs, meaning they must be provided in a diet. · Vitamins: Vitamins promote normal metabolic function in dogs, and most vitamins cannot be synthesized in dogs’ bodies. While vitamins are essential, the ASPCA notes that vitamin supplements should only be given to dogs on the advice of a veterinarian, as excess vitamins in the body can weaken dogs’ bones and result in bone and join pain as well as dry skin. 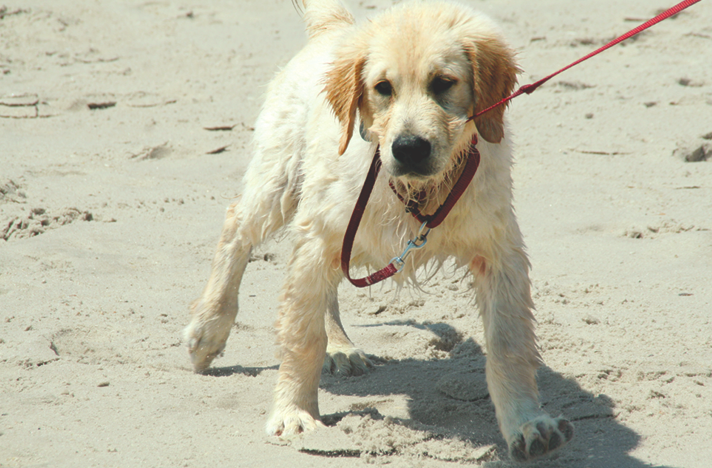 · Water: Fresh, clean water should be available to dogs at all times. 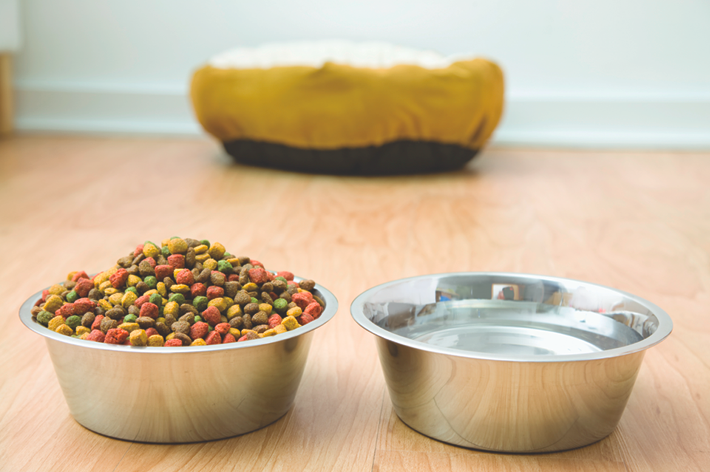 Dogs will get some water from the food they eat, as the ASPCA notes that dry dog food has up to 10 percent moisture and canned dog food has up to 78 percent moisture. But an adult dog still needs more water than its food can provide. Water accounts for anywhere from 60 to 70 percent of an adult dog’s body weight, and a 15 percent decline in that body water can cause death, making it imperative that owners routinely refill their dogs’ bowls with fresh, clean water. More information about healthy dog diets is available at www.aspca.org. Cats and dogs are the two most popular types of pets in the country, and while dogs have been dubbed “man’s best friend,” cat owners are quite vocal when expressing their love for their feline friends. Those looking for a cat may not have to look far. The ASPCA says approximately 7.6 million companion animals enter animal shelters nationwide every year, and roughly 3.4 million of those are cats. An area shelter is an ideal place to find a new pet for those thinking of getting their first cat or adding to the pets already in the household. Cats, can be purchased from pet stores, but they also may be available via friends or family members who have recently welcomed a new litter. Before bringing your cat home, it is best to make sure you and members of your household are prepared to welcome a furry feline friend into your home. · Is everyone ready for the responsibility? Pets are a big responsibility, and all members of the household should be ready and willing to pitch in and care for pets. Divide duties based on age and physical ability. If a member of the family doesn’t support the decision to get a cat, this might not be the right time to do so. · Find the right match in a pet. 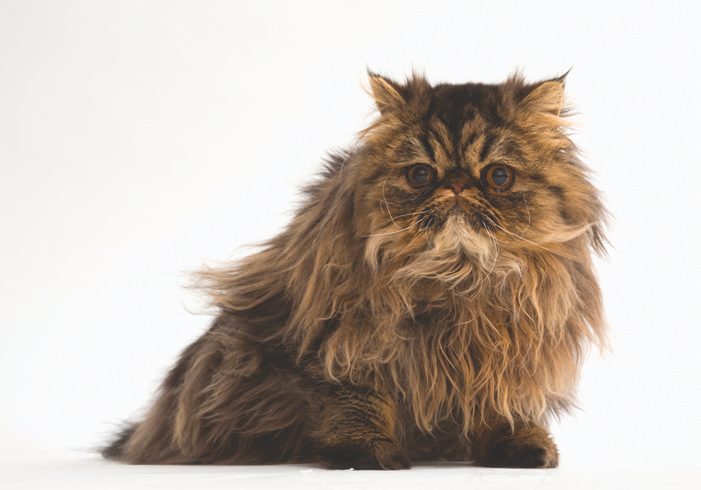 Temperament can play a role in how well a cat fits in with your family. A cat that is fearful and skittish may not be the best match for a family with young, active children. Special-needs cats may be better for adult-only homes or for people who can devote the extra time needed to properly care for the animal. · Designate a cat-friendly spot in your home. A new cat may need some time before he or she acclimates to a new environment. To facilitate this process, designate a room or area in the house for your cat. This should be a low-traffic spot. Keep a litter box and food and water bowls nearby. · Find the right veterinarian. Select a veterinarian whom you trust and makes you feel comfortable. Have your cat examined by the vet and discuss any questions or concerns you may have. A vet may be able to install microchip in your cat for identification purposes as well. · Safe-proof your home. Cats can be curious, and many will want to investigate rooms throughout your house. To protect curious cats, keep cleaning products and other chemicals locked away and secure electric wires with cord containment devices. Know which houseplants are toxic and, if you don’t discard them, make sure they cannot be reached by cats. Cats make wonderful pets. Bringing a new cat home often requires taking certain steps to ensure your furry friend is comfortable in his or her new home. · The Humane Society of the United States advises cleaning hanging feeders once every two weeks or more often if they’re heavily used. Ground-feeding designs should be cleaned every two days. Feeders can be immersed in a very-diluted solution of bleach to water (nine parts water to one part bleach). Let soak for a few minutes, and then scrub the feeder with a stiff brush or scouring pad before rinsing. Allow the feeder to dry completely before refilling it with seed. 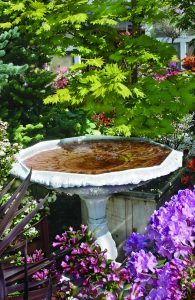 · Bird baths should be emptied of water each day. Brush or wipe the bath clean, then rinse and refill with fresh water. Do not leave standing water overnight; otherwise bird baths can easily become a breeding ground for mosquitoes and other parasites. · Frequently collect discarded seed hulls and clean bird droppings from beneath feeders. If the area around the feeder has become especially soiled, relocate the feeder elsewhere and clean its initial location. 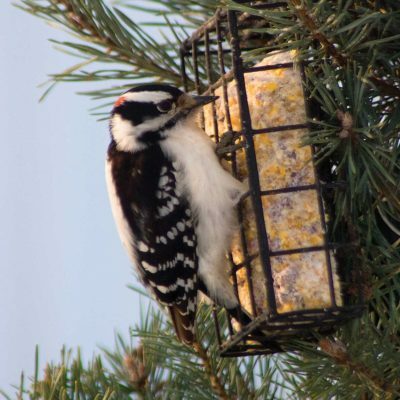 · Follow proper instructions with regard to seed and other bird food. For example, reduce the amount of suet offered in hot weather. Heat can cause suet to spoil, and sticky suet can become stuck in birds’ feathers and make it hard for them to keep clean. · Try to provide more than one feeder and bird bath to prevent overcrowding. Crowding can contribute to the spread of disease. · Do not situate feeders and bird baths under perches where they can be soiled by droppings. · If you notice birds look sick or are not acting strangely, halt feeding and bathing to prevent healthy birds from becoming ill. Wait a week before resuming feeding and notify wildlife officials if you find dead or sick birds around your property. · Locate feeders and baths at least 30 feet away from windows so birds do not get confused by reflections and collide with the glass. · Store seed in a dry container with a tight-fitting lid to prevent mold from forming and moisture from getting in. Creating a beautiful and bountiful garden is a popular pastime for people all across the country. It is important to keep in mind that aesthetically appealing plants may be appetizing to area wildlife, including deer. Those who do not want their gardens to turn into all-you-can-eat buffets for deer, rabbits and other wild animals can take a more proactive approach to gardening. Deer are opportunists who will no doubt see your garden as a salad bar ripe with all of their favorite foods. As housing developments continue to encroach on the natural habitats of deer and other animals, these animals are becoming more visible. Deer may not be able to forage for food effectively in their smaller, natural surroundings, or they may become accustomed to the “easy pickings” they find in neighborhood yards. Either way, you may encounter a deer in or around your area. Keeping deer at bay involves some work and maintenance on the part of a homeowner. There are safe and humane methods to repelling deer, or at least blocking access to the plants worth protecting. Here are the main ways to deer-proof a garden. Fences are one way to deter deer from entering a yard and dining on your garden. Keep in mind that deer can jump fences that are quite tall, but they have to be especially motivated to jump an eight-foot-tall fence. Still, they tend to be weary about scaling a fence when they cannot see what is on the other side. Therefore, if you are fencing out deer, choose a fence that camouflages the garden well and completely encloses the area to be protected. If you do not want the fence to be solid, consider putting stakes or thorny plants within the garden so that the deer will hesitate to jump into the garden. Deer are naturally skittish around people, but over time they can become quite complacent around human beings. Once a deer decides that something will not present a threat, the deer can adapt to its presence. Motion-activated devices may not work, nor the presence of pets. Predator urine is typically an effective way at keeping deer at bay. Bottled coyote urine can be quite effective, although human urine may work as well. Reapplying the product weekly around the plants is a good idea. There are many organic or chemically-based products on the market that deer may find offensive to the taste or smell. Hot pepper, sulfur and eggs or even the use of soapy water have been successful in certain instances. 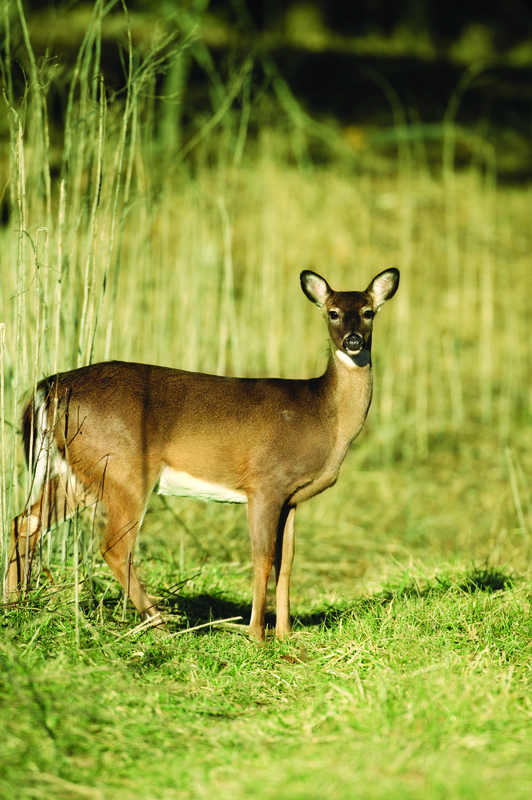 The use of blood meal or even human hair around the garden may repel the deer and keep them on a different foraging path. However, remember that any deer that is very hungry may ignore unpleasant tastes or smells for a quick bite. If other food sources are available, there are some species of plants and trees that deer will avoid. Filling your garden with these plants can help you maintain a beautiful, albeit untasty, environment for deer. Gardeners who use a combination of methods to keep deer out of their yards and gardens may have a higher success rate at deterring these animals. Most dog owners at some point in time have dealt with, or known, an anxious dog. Whether its just begging for an afternoon run, vet visit or full on owner separation anxiety, it can often cause headaches for both the dog and owner! Have you dealt with an anxious dog? Share your own personal tips in our Comment section below!